One in five Americans will develop skin cancer at some point in their life. Dermatologist and skin cancer specialist Dawn S. Allison, MD, specializes in skin cancer prevention and early detection. Dr. Allison encourages patients to get regular screenings at her practice, Allison Dermatology & Skin Cancer Center in Bend, Oregon. Increase your chances of beating skin cancer with regular full-body exams: Call Allison Dermatology & Skin Cancer Center or booking an appointment online today. What is basal cell carcinoma and what does it look like? Basal cell carcinoma is the most common form of skin cancer. According to the American Cancer Society, over 4 million cases of basal cell carcinoma are diagnosed in the United States every year. This type of skin cancer almost never spreads beyond the original tumor, but that doesn’t mean it can’t. In rare cases, basal cell carcinoma can spread to other parts of your body and become life-threatening. What is squamous cell carcinoma and what does it look like? Squamous cell carcinoma is the second most common form of skin cancer, with over one million new cases diagnosed in the United States every year. This disease kills an estimated 8,800 Americans each year. Melanoma is the most dangerous form of skin cancer that causes abnormal skin cells to multiply rapidly and create malignant tumors. Although it’s not the most common type of skin cancer, melanoma causes the most deaths. However, it’s curable if it’s detected and treated early on. What should I do if I suspect I have skin cancer? Dr. Allison is an established skin cancer specialist with extensive experience diagnosing and treating all types of skin cancers. 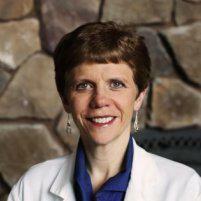 Most of Dr. Allison’s patients see her for skin cancer diagnosis and treatment. She knows that early diagnosis is critical to overcoming skin cancer. If you think you may have skin cancer, or are due for a preventive skin cancer screening, call Allison Dermatology & Skin Cancer Center or book an appointment online today.